The summer of 1985 saw the launch of some powerful home computers, including the Commodore Amiga and the Atari ST. These powerful computers broke new technological ground with a forward-looking 16/32 bit architecture, but they were also rather expensive. But in Europe one of the most successful competitors to the ST and Amiga was the 8-bit Amstrad CPC range (distributed in Central Europe through Schneider). 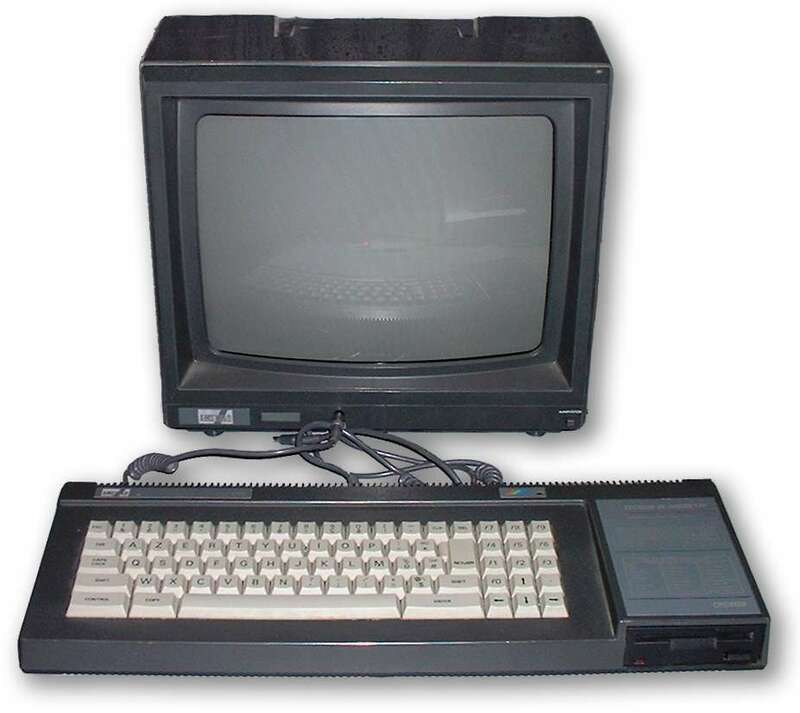 The Amstrad CPC464 had been launched in 1984 and featured a Z80 CPU with 64KB of RAM, an integrated cassette player and it also shipped with an integrated monitor, at a very attractive price. A floppy-disk version called the CPC664 followed, and in August 1985 Amstrad launched the CPC 6128 which featured a whopping 128KB of RAM as well as the floppy drive. Although the CPC range were built using inexpensive components, they were relatively sophisticated with a dedicated sound chip and three screen display modes of various resolutions and colour depths. The CPC 6128 could also run CP/M (still used in businesses at the time) and it was the cheapest floppy disk drive system on the market. The disk drive itself was an unusual 3" format designed by Hitachi. Disks for these drive were expensive and had a relatively low capacity, however they were designed to be very rugged. Despite their drawbacks, the floppy disk drive was enormously better than the cassette drive that the CPC464 was lumbered with. 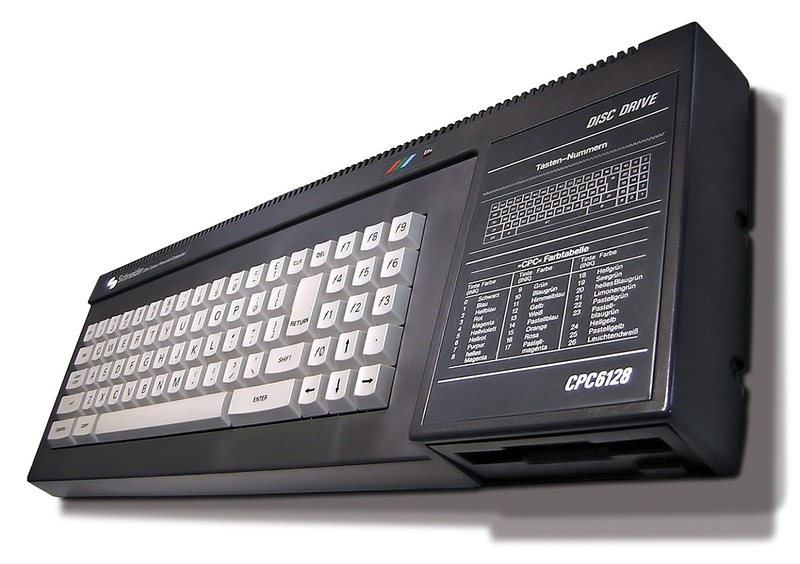 A wide range of games were produced for the CPC6128, and it found a niche with businesses looking for a low-cost but practical computer. For home users, the fact that it included a monitor was an enormous advantage because it freed up the family TV for.. well, watching TV. Back in the mid 1980s even a small TV set would cost hundreds of pounds. When sold in the US, the colour CPC6128 was pitched at $799 compared to $1000 for an Atari ST and about $1600 for an Amiga, and a shocking $2500 for an Apple Mac. In the UK the same model was priced at £399 and in Germany the price was 2098 DM. With prices like that the CPC range became a huge success in Europe, although not in the States. 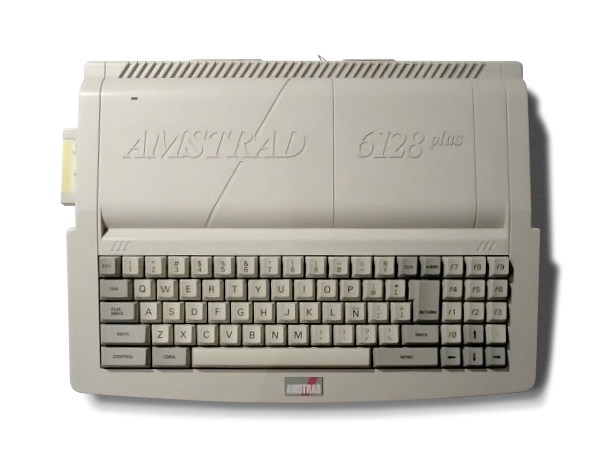 Amstrad went on to produce the Z80-base PCW word processor range, a variety of upgraded ZX Spectrums after they bought Sinclair before moving into the PC business. In 1990 the CPC range received a makeover which made them look much more contemporary, but the era of 8 bit computing was over by this point. A well-built and reliable machine, today there is a lively retro scene around these CPC models. Complete working models with a colour monitor cost from £100 upwards in the UK with secondhand games coming in at around £10, alternatively you could try playing with the CPC emulator on your Android phone. Although the CPC ended up as being a dead-end, it does have a legacy of introducing many families to a computer for the very first time.